Even if you are too careful, the unexpected might happen with trucks. Truck accidents happen almost every now and then with victims usually injured either lightly or severely or have their properties destroyed. The pains and discomfort that follows cannot be quantified. However, with adequate compensation, it could be cushioned and much more bearable. Compensations don’t just come except with the help of a licensed and adept truck accident attorney. Rawa Law Group is a renowned legal outfit that has several qualified truck accident attorneys and cover areas such as Whittier, CA. Our agency stands for “advocacy for the injured” and hasn’t relented in its efforts to achieve that in over 10 years. We have garnered more than 55 years of experience in the industry and no kind of truck-related accident case is too much for us to handle either 18-wheelers or semis. Our service is personalized with individual attention representation to give you the needed apt legal voice to win your case. It is important to note that when you consult us, you do not have to worry about upfront costs as the only time we will require payment is after our success with your case. While working on your case, we ensure you stay informed about everything from start to finish. We also give our clients standard and proper legal counsel without any hidden charges. 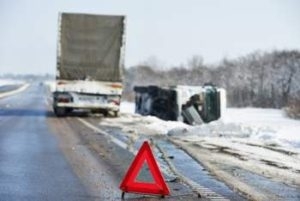 If you would love to hire a proficient truck accident attorney in Whittier, it is recommended to visit Rawa Law Group to increase your chances of maximizing your accident claim settlement. Contact us today to get started.